The region of Guadix and Marquis, located east of Granada, forming a wide plateau. It is a volcanic park, most terrestrial and marine protected area of great ecological importance of the Mediterranean coast of western Europe. 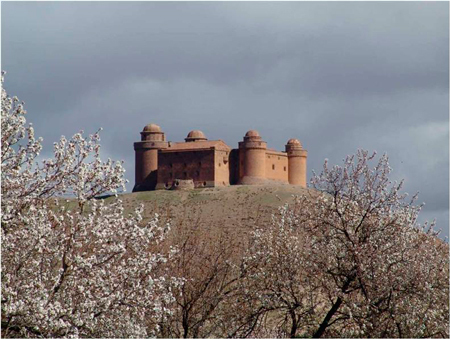 Consisting of the city of Guadix and the surrounding villages, this area has a rich archaeological and historical heritage. Landscape of contrasts between the slopes of the Sierra Nevada and the arid moonscape of the Eastern Mountains. Among the reddish hues of the Hoya de Guadix and the green valleys of the rivers that flow into the region. 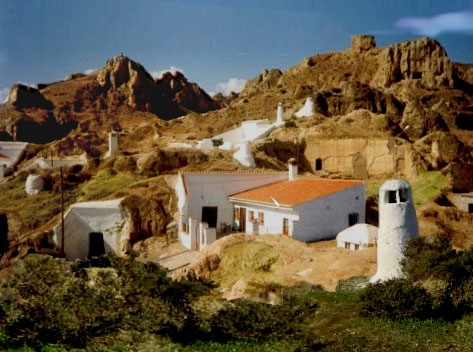 Since ancient times, we can find in their territory dolmens, the remains of Iberian and Roman city of Acci (Guadix), founded by Julius Caesar. It is the eighth centuries the Muslims arrived. They were expelled eight centuries later. The Islamic heritage is still present in the Mudejar churches, cultivation techniques and Arabic names. 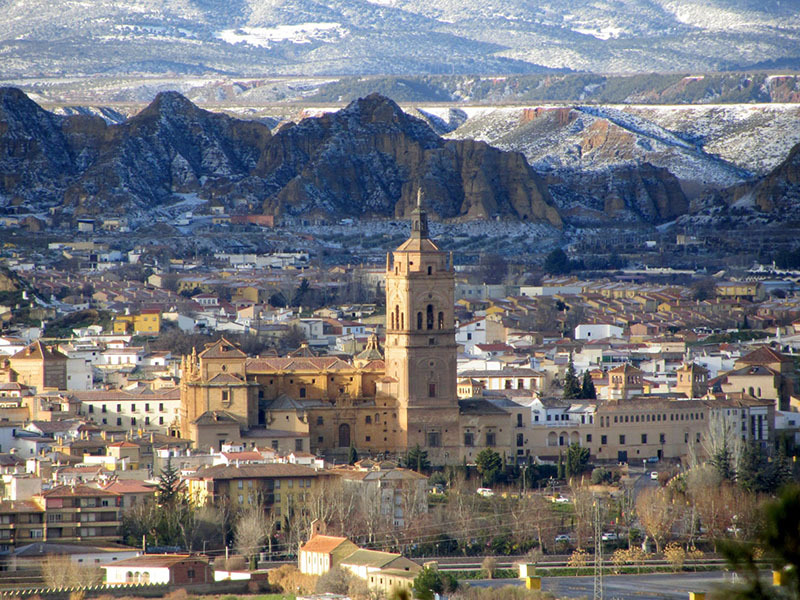 In Christian times, the Cathedral of Guadix and La Calahorra Castle, housed within one of the most beautiful palaces of the Renaissance in Spain. The land where the Hoya de Guadix and the valleys of the river Gor Fardes seat is easily creusable. This geological feature has led to a particular type of habitat: the cave houses. In digging the earth, we obtain the thermal insulation which maintains a constant temperature throughout the year. Warm in winter and cool in summer, white, comfortable and rustic walls enchant those who choose them as tourist accommodation. Its traditional business has survived thanks to its revaluation as art craft. It has a very distinctive pottery with native forms as the launcher, the launcher or “accitana” or “torico” of Guadix. Sparta, wicker chairs and iron are other art forms that take place in this region. Rich folklore, Guadix and El Marquesado have festivals, pilgrimages, traditions and curious characters in the popular imagination as the Baza and Guadix Cascamorras. Overlooking the continental semiarid, with some variations in color due to the altitude of the region and the proximity to the Sierra Nevada and Sierra de Baza. This causes the decrease of temperature due to the height and also the insulation of the given “Saw” does not allow entry of west flow sea. An average annual temperature of 14 ° C Winters are long and cold, with an average temperature of 6 ° C in January and frequent snowfalls were observed. However, summers are hot and dry at 25 ° C on average. Rainfall does not exceed 440 mm and are mainly in spring and autumn. For more information about the region visit ..